Lakeview (or sometimes Lake View) is a diverse and vibrant neighborhood that rises right along the water. Right next to Wrigleyville and Boystown, and conveniently close to the red and brown lines, Lakeview is home to numerous restaurants, bars, shops, and great Chicago institutions both old and new. As your go-to Lakeview movers, we’ll help you settle in at your cozy vintage home or water-facing high rise, so you can start finding the features right around the corner. Lakeview is home to almost 100,000 people, around half men and half women. Their median age is in their mid-30s, and many people are married and have children. Average yearly income is about $70k. When Chicago was growing in the 19th century, the area around Lakeview was farmed by immigrants from northern Europe. 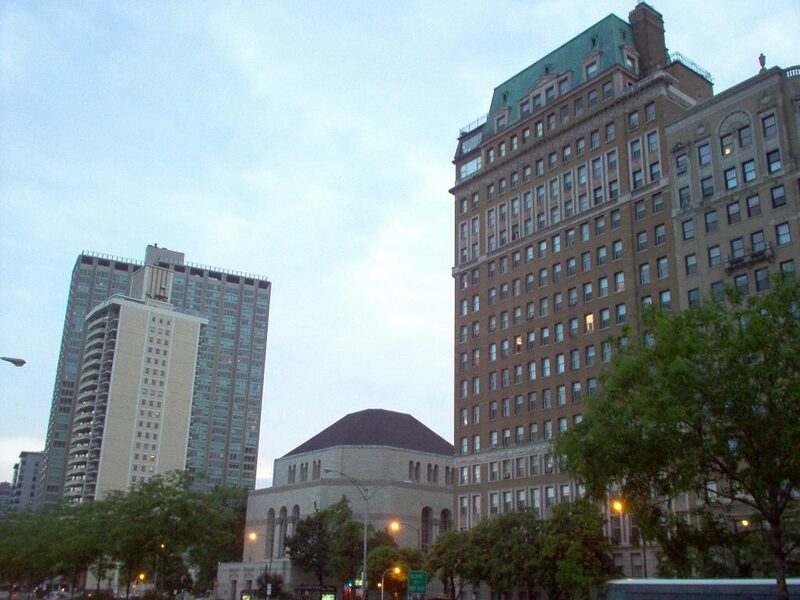 The population grew as city dwellers came to the area to escape disease, and Lakeview developed into a more urban area to fulfill the increased housing needs. While Lakeview remained a thriving commercial area throughout the 20th century, it experienced a boom of gentrification at the beginning of the 21st, and continues to be an exciting place to live today. Now you’ve got the gist, here are some highlights—and basics—we found to help you start your best Lakeview life. Hamlin Park: Sports fields, a pool, community rooms and green space. Belmont Harbor: The place for boat watching. St. Alphonsus Church: Classic architecture and community events. Diversey Range and Mini Golf: Scenic driving range, and mini golf for everyone. Southport Lanes & Billiards: Vintage group games and manual bowling. Pizza: Mia Francesca. And other Italian. Delivers. Seafood: Lowcountry. Cajun-inspired food and cocktails. Comfort Food: Crosby’s Kitchen. Relaxed and family-friendly. Sandwiches: BIG and little’s. Famous for tacos and po boys. Middle Eastern: Zachi. Counter-served falafel and schwarma. Korean: bopngrill. Fused with American fast food classics. Special: Ella Elli. Wine pairings in an intimate modern space. Wine: 404 Wine Bar. Cheese and other food pairings. Beer: Beermiscuous. A “coffee shop” for beers. Pub: Duke of Perth. British comfort food and specials. Neighborhood: Jake’s Pub. Cash only hangout. Jewel Osco: Open until 1 am. Paulina Market: Expansive butcher shop with a few convenience items. Osmium: Quiet space with cafe menu. Lake View YMCA: Fitness facilities and recreation resources. Lakeview Athletic Club: Equipment, classes and rooftop pool. Southport Fitness: Equipment and classes. This has been a tiny sampling of the great things you’ll experience at your new Lakeview home. As a seasoned Lakeview moving company, we’ve learned all about the staples and cool places in the area. We’re happy to share more! As you’re planning your big move, cross one major thing off your to-do list, and book Lakeview movers who’ll a take load of stress off your mind. Call us at New City Moving, and we’ll help you move safely, smoothly, and on-schedule, so you can settle right in and start living your greatest Lakeview life.